The Monroe Chamber of Commerce and the Monroe Lions Club are teaming up to raise money for the Monroe Scholarship Fund. 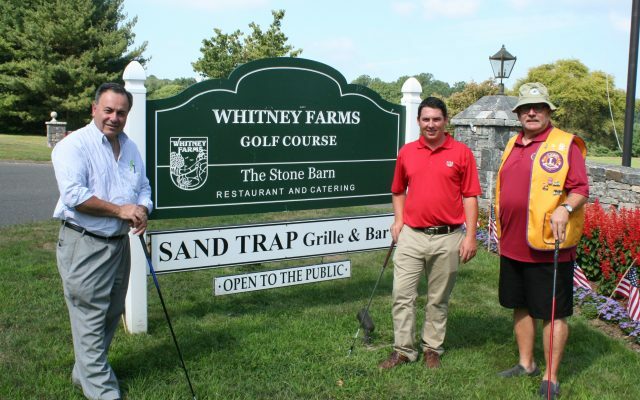 According to Chamber of Commerce president Tom Colville and Lions President Frank Bent, these key community organizations will hold a golf tournament on Sept. 29 at the Whitney Farms Golf Course, 175 Shelton Road, Monroe. Registration will begin at 10 a.m. with a shotgun start at 11:30. A donation of $150 per person will provide 18 holes of golf, refreshments, dinner, prizes and raffles. To obtain a registration form contact Ray Giovanni (203-880-3316), Frank Bent (203-650-5632) or visit the Chamber’s website: monroectchamber.org. All registration forms must be submitted by Sept. 23.